As the commander of a fire station, Mr Rayner Oon remembers responding to blazes that took all hands on deck - and then some - to bring under control. 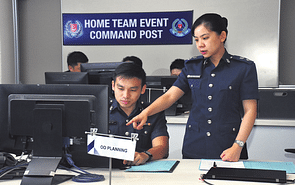 These days, the 30-year-old works to make sure the alarm bells go off as little as possible in his role as a senior manager (safety and security) at the Policy Development Division at the Ministry of Home Affairs (MHA), where he is on secondment from the Singapore Civil Defence Force (SCDF). 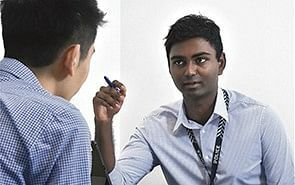 This career journey began for Mr Oon in 2009 at Imperial College London, where he was studying for a master’s degree in chemical engineering on a Singapore Government Scholarship (SGS). “I believed the engineering disciplines would hone my analytical and problem-solving skills,” he says. 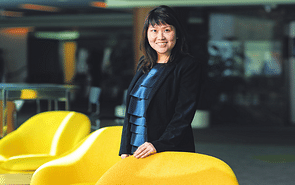 While the English climate and way of life initially proved a challenge, he found balance in activities hosted by the Imperial College Singapore Society, as well as futsal games. The scholarship also helped by covering his tuition fees, as well as providing a monthly allowance and return airfare. 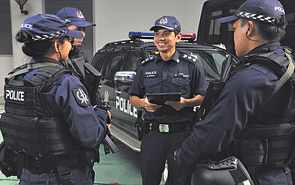 During a summer break in August 2011, Mr Oon returned to Singapore for a one-month internship with the SCDF’s Fire Research Unit, where he was introduced to its various research and forensic capabilities. 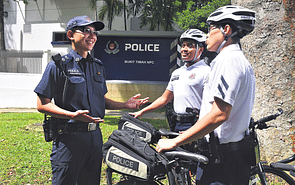 After graduating in July 2013, he trained for nine months at the Civil Defence Academy before being assigned to Tampines Fire Station, where he was eventually made its commander. He rose to the challenge, gaining experience not only in logistics and administrative skills, but also from being put in charge of some 130 officers. His background in chemical engineering also came in handy, given this fire station’s hazardous materials (hazmat) response capabilities. One memorable incident was the CK Building fire in August 2016, which involved three floors of a warehouse and took over 16 hours to extinguish. "It was the first time I had encountered a fire of this magnitude,” he says. 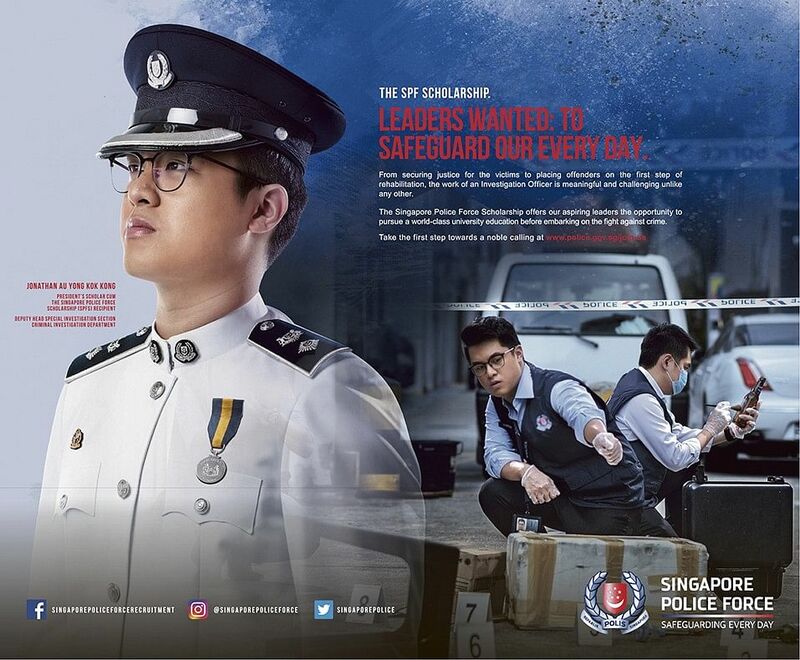 With his mettle proven, Mr Oon received a secondment to the MHA one month ago, where he is working on policies that maximise SCDF’s resources to deliver optimal emergency medical services to the general public, ensuring that the most critical cases receive the highest priority. have given him better appreciation of operational issues on the ground. At the same time, Mr Oon is also squarely focused on his personal development. 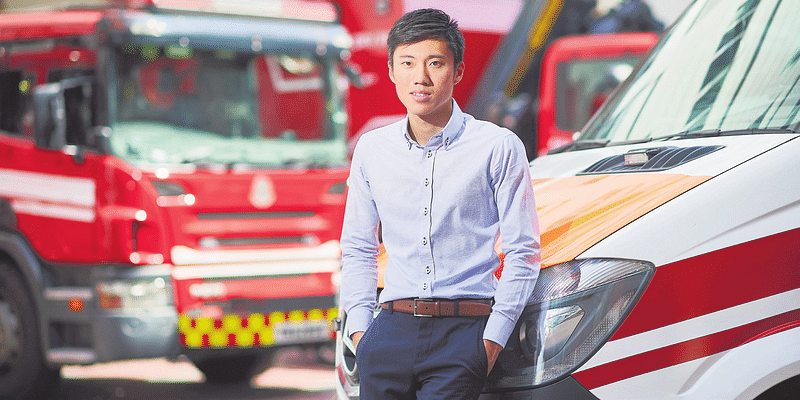 “SCDF has helped by exposing me to different areas of work, while also giving the opportunity to attend courses to upgrade myself,” he says.